The Pinkster Tournament is proud of its tradition to support gays and lesbians in more difficult parts of the world. Every year we choose a group or initiative in the GLBT network who fight for equal rights for homosexual men, lesbian women and transgenders. If possible we connect to a sports initiative, but in countries where basic rights are not secured or respected, sports is not always the first priority. In a raffle where you can win attractive prices, we collect money that we donate as a gesture of friendship and support to our brothers and sisters elsewhere. 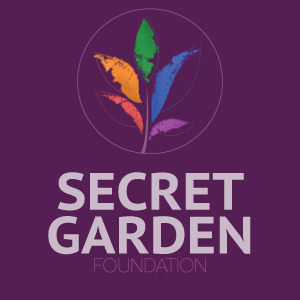 Secret Garden is a foundation focused on LGBTQI’s (Lesbian / Gay / Bisexual and Transgender) with a Muslim or other ethnic-cultural background, based in Amsterdam. Secret Garden offers information and support to these groups on various topics and activities. To persons who are threatened by family and/or put on the streets, Secret Garden supports through her volunteer network shelter and psychological support. In addition, Secret Garden supports on a daily basis LGBTQI+ asylum seekers in the Netherlands who come from countries where they cannot be open about their sexual orientation, it is forbidden or even involves life-threatening situations. Over the last three years, Secret Garden has supported more than 500 refugees and asylum seekers. Secret Garden wants to create more awareness of the specific problems of LGBTQIs with a migrant background and contribute to increasing the acceptance of LGBTQI’s in their own community. Furthermore, Secret Garden organizes courses, debates, language lessons and recurring events such as Oriendam. Read more about the Secret Garden Foundation or visit the foundation on Facebook. Support this foundation with a donation, and enable Secret Garden Foundation to support LGBTQI+ asylum seekers and LGBTQI’s with Muslim or other ethnic-cultural background. Gay and lesbians in Iraq and Kurdistan live in extremely difficult circumstances. Not only is their region affected by ongoing war and armed conflict, the iraqi and kurdish societies are very repressive towards sexuality in general, especially for women and LGBTs. IraQueer is the first and only LGBT+ organization focusing on the LGBT+ community in Iraq/Kurdistan region. With a core team of diverse activists mostly residing inside Iraq, IraQueer represents the start of the first queer movement in Iraq’s public history. IraQueer supports members of the queer community through providing direct services, support and protection. In addition they do international advocacy efforts based on documentations and reports by their members. Have a look and read some heartbraking, yet encouraging stories With your donation IraQueer can increase their important work for an invisible LGBT community who desparately need our support. Nigeria is one of the 72 countries where LGBT people are constitutionally criminalised with 14 years of imprisonment. In those parts of Northern Nigeria governed by Sharia, homosexuality is punishable by death – one of few countries in which this is the case. This puts Nigeria in the spotlight, creating fear within the LGBT community, as well as among their families and friends. It has led to indiscriminate arrest of LGBT people and constant victimisation from the society. They develop short video campaigns to create awareness and change the social perception of LGBT people in Nigeria. They run 2 training fellowships. The media justice fellowship is aimed at empowering Nigerian media to conduct nonbiased, fair and balanced reporting on LGBT issues. The legal fellowship trains legal and paralegal professionals on how to provide LGBT legal support and representation. Support this NGO with a donation, and enable the Bisi Alimi Foundation to help the Nigerian LGBT community with their work. In a world of increasing violence against those of different beliefs and lifestyles, the tournament team decided to direct our outreach efforts this year, 2016, to a young LGBT community initiative in the Middle East. Thank you for supporting our courageous friends of ‘Proud Lebanon’. Proud Lebanon is a non-profit, non-religious, non-political, non-partisan civil society that aims to promote sustainable social & economic development in Lebanon and the region and is working to achieve protection, empowerment to cope with discrimination and equality of marginalized groups through community service activities. Proud Lebanon started its activities in August 2013 and is a registered non-profit civil society. Since the Syrian war started in 2011, Lebanon saw its population grow with 30 -50%. The huge influx of refugees increased the pressure in the already tense and sensitive Lebanese society. As result discrimination and marginalization of vulnerable groups is getting worse. The entire LGBTI community, from backgrounds and nationalities are facing increasing discrimination and violation of basic human rights. Proud Lebanon is dedicated to promoting tolerance in Lebanon and the region, to ensure the well-being and the empowerment of LGBTs. Proud Lebanon advocates for equal human rights, they provide legal advice to LBGTs, they promote improved health services in the field of HIV testing and treatment and they provide educational and social activities aiming empowerment and active social participation of LGBTs. Proud Lebanon has the ambition to build strong networks as a basis to reach out to other LBGT initiatives in the Middle East. 2015: Rainbow Tennis Russia Moscow: this group organized their first gay tennis tournament in Russia. Under the umbrella of the Russian LGBT Sports federation, they create safe spaces, free of homophobia, where the LBGT community can play tennis together. A few of them visited Amsterdam to enter the Pinkster Tournament 2015. Watch the movie of Rainbow Tennis in Moscow!2014: Rainbow Tennis Russia Moscow. Watch this movie. 2013: Labris, an interest group for lesbian women in Serbia (2013) 2012: Chosen FEW in Johannesburg and KAOS GL in Ankara. The Amsterdam Pinkster Tournament is one of the largest international GLTA tennis tournaments for gays, lesbians, bi’s and transgenders, organized by Smashing Pink. Straight people are welcome too. With over 300 women and men from all over the world we guarantee every year a really diverse crowd.